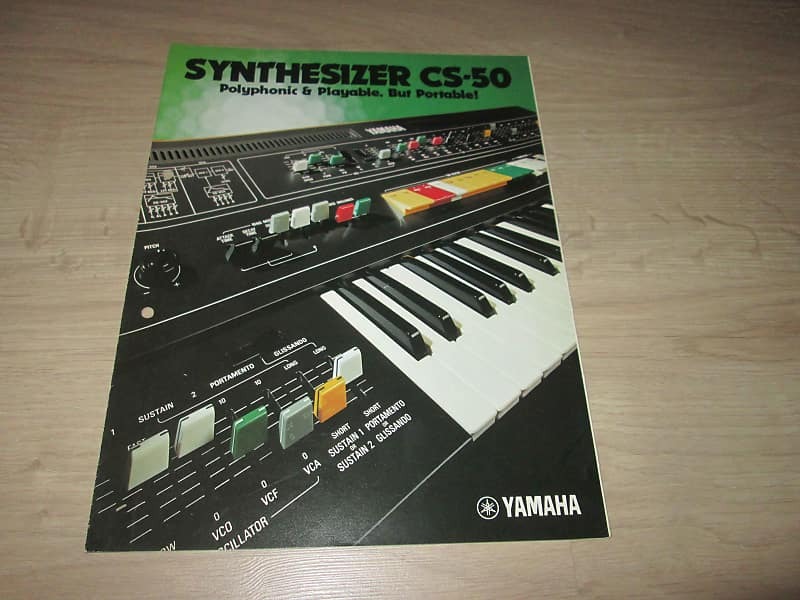 This auction contains the Yamaha CS-50 Brochure. 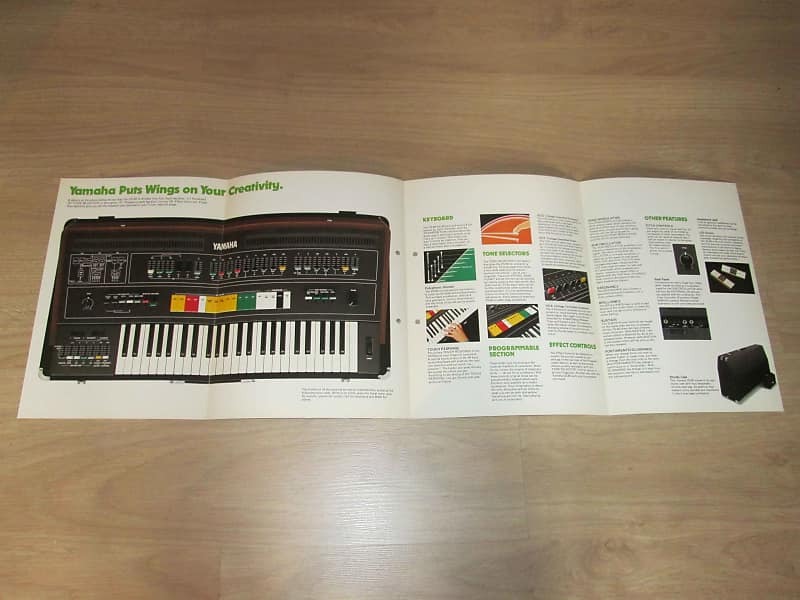 This is a must-have for any vintage synthesizer/E-MU collector as these are getting very hard/impossible to find these days. 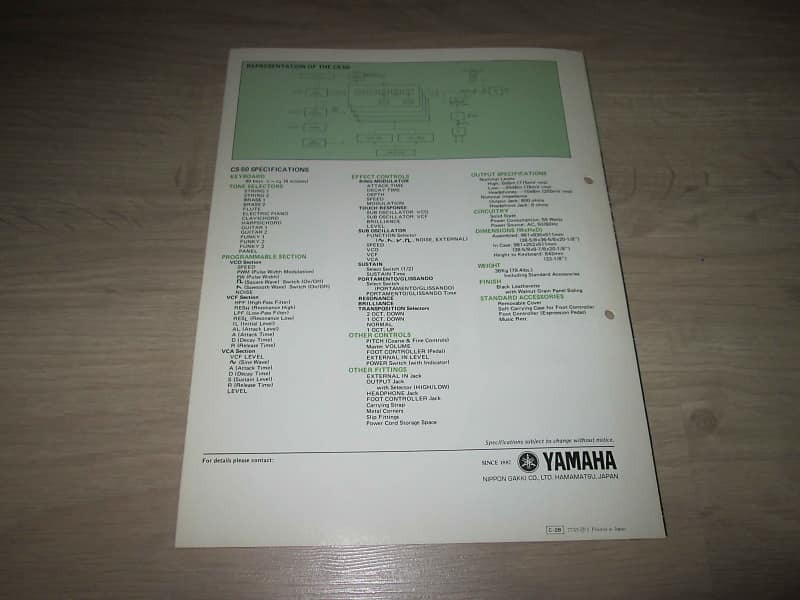 This Yamaha Brochure has no writing, highlighting, underlining or any stamps in it. This brochure has punched holes in it. 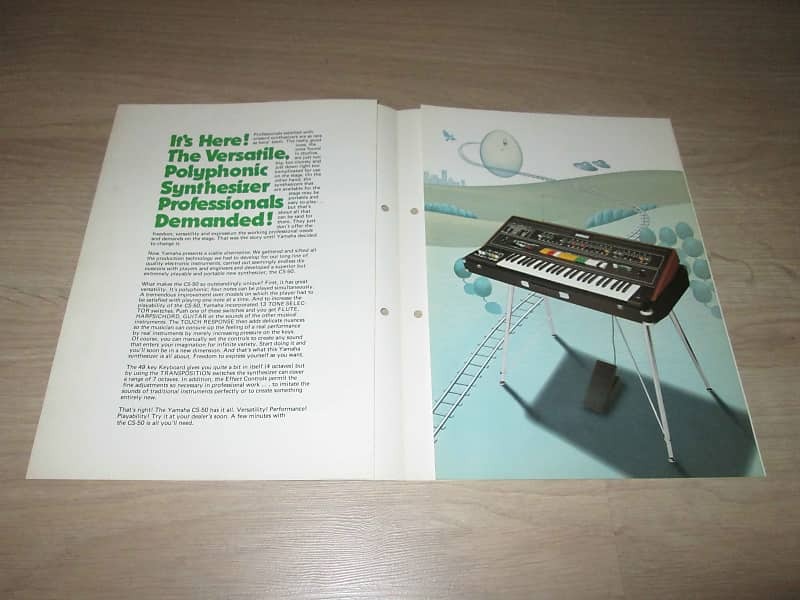 This brochure is in very good condition, see the picture's for more detail. I'm shipping worldwide. The actual shipping-cost must be paid by the winning bidder of this auction. All sales are final. No returns accepted. Selling as is, don't hesitate to contact me for more information and/or picture's. Please check my other auction's as well, I can combine shipping. Thanks for looking.